India at first glance may not seem like a safari destination. However if you look closer, you’ll soon discover a wildlife paradise in National Parks across the country. India is a great country to experience a safari in. This is mostly due to the dedication the National Parks have to conservation. Unlike some African countries where there can be overcrowding in National Parks, this doesn’t seem to happen in India. This is because a certain number of groups are allocated to various zones. This small act has seen incredibly positive results with the Bengal tiger population increasing to over 3,000 in 2016 from just over 1,000 in 2006. The Government of India has taken action to protect the survival of the tigers as well as the elephant, crocodile, sea turtle, and many other threatened animals. Some of the laws and acts passed include the Prevention of Cruelty To Animals 1960, the Wildlife Protection Act 1972 and the Forest Conservation Act 1980. In addition, schemes and projects such as Project Tiger, Project Elephant and UNDP Sea Turtle Project have allowed the wildlife population of India to steadily increase across all species over the years. A safari in India is of course very worthwhile due to the amazing diversity of flora and fauna. From tigers and leopards to rhinos and crocodiles, as well as a remarkable collection of birds, there is plenty to see. Whilst seeing the elusive tiger is a highlight, you can’t forget the 272 species of bird. From Flamingos and Gray Hornbills to Flycatchers, and Nightjars, wherever you are, you’ll see one of the 272 incredible birds. Another highlight of a safari in India is the fact that all the guides are actually naturalists. This means that whilst on safari, your naturalist guide will be able to offer specialist knowledge on all the plants and animals you see. Having a naturalist guide creates an experience whereby you are not only witnessing some of the world’s most incredible creatures, but also learning about them and their habitat. If you’re travelling to Ranthambore National Park, you’ll also have the opportunity to visit ancient forts. 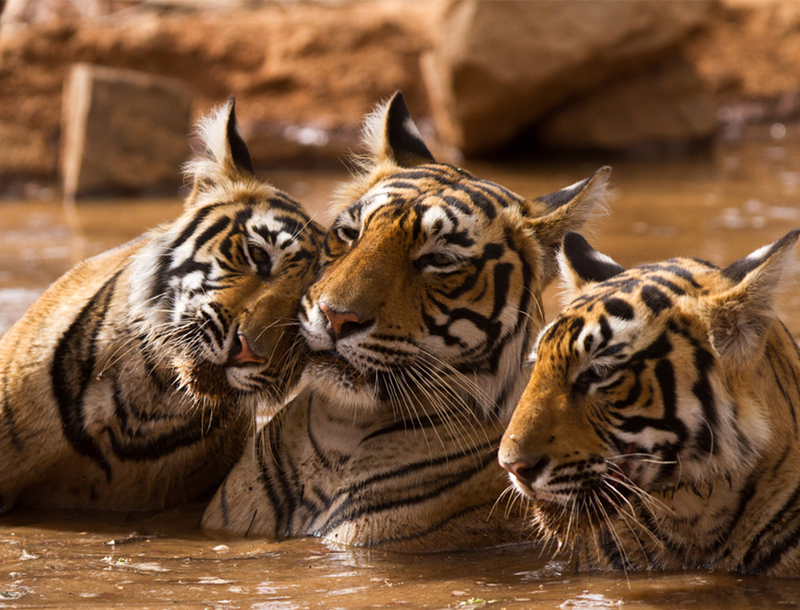 Ranthambore is home to a large array of wildlife as well as incredible forts overlooking the entire reserve. The Ranthambore fort stands at just over 200m high and listed as a UNESCO World Heritage Site. A country filled with countless birds, incredible wildlife, and a rich history, India is the perfect destination for your next safari.